This is Nova, a 2 month old pit puppy that was found in a very abusive situation. she is currently at the Athens Animal Control in Georgia. I created a gofundme page to get donations for the rescues w...View MoreThis is Nova, a 2 month old pit puppy that was found in a very abusive situation. she is currently at the Athens Animal Control in Georgia. 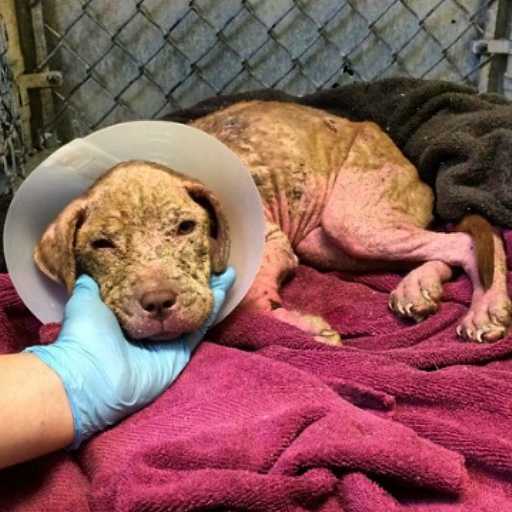 I created a gofundme page to get donations for the rescues working together to save her! all donations will go to her vet bills. I'll post the link in the comments! Life Of Titus, Jason Taylor and 8 others likes this. OMG...I hope someone is facing consequences for this!!! so sorry this baby had to be subjected to this but glad to hear the owner will pay!